When Dr. Stanley Paris began teaching continuing professional education (CPE) courses and seminars to physical therapists in 1966, he didn’t anticipate that the foundation of a new university was being formed through his efforts to advance the field of manual therapy. These courses carry continuing education units (CEUs) which are helpful in both maintaining and developing professional competency and, in an increasing number of states, for maintaining professional licensure. A practicing clinical physical therapist, Dr. Paris earned a PhD in anatomy and while serving as a faculty member at Emory University in Atlanta, and in 1979 he founded the Institute for Physical Therapy, later renamed the Institute of Graduate Health Sciences. The Institute offered a clinically-based, post-professional Master of Science degree in Orthopedic Physical Therapy (MScPT). It was the first independent institution given authority to confer a graduate degree in physical therapy. In 1981, the Institute introduced a certification program in manual therapy wherein candidates, after taking a series of courses, were examined in their written, oral and practical abilities. Successful candidates were awarded a Certification of Competency, which is now a necessary step to attaining clinically-oriented, post-professional (advanced) degrees. At the same time, the Institute’s continuing education programs (CPE) continued to grow and expand, including internationally in places like Japan and Chille. In 1985, the Institute moved to the historic city of St. Augustine, Florida. By 1994, it launched the Master of Physical Therapy (MPT), the first professional degree in physical therapy to be offered by an independent, proprietary school of physical therapy. This program was accredited by CAPTE in October 1996 and earned re-accreditation four times since. On March 4, 1997, the organization formally became the University of St. Augustine for Health Sciences (USAHS), a milestone in the University’s development. 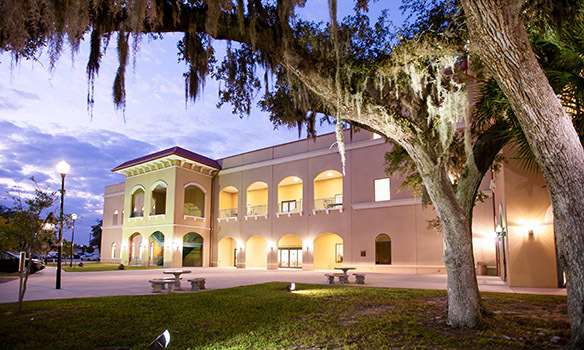 Also in 1996-97, the University purchased a small private hospital and an adjoining twenty-six acres of land at the Flagler Health Park Campus in St. Augustine, thus creating the University’s current St. Augustine campus. Dr. Paris would serve as Founding President and Chancellor until his retirement in 2007. Today, University of St. Augustine for Health Sciences has grown to become the nation’s largest graduate-level, physical and occupational therapy school. While the academic focus of the University evolved and expanded from PT and OT to other health and rehabilitative science programs, the focus solely on graduate-level programs has remained and continues to be a significant differentiator for the University. USAHS now offers more than a dozen graduate-level degree programs in health and rehabilitative science disciplines where there is a critical need for well-prepared clinical providers. Today, the University of St. Augustine for Health Sciences serves thousands of students annually through its network of campus locations and growing online programs. USAHS’s success blends a focus on health sciences education with the philosophy of “students first” and curricula that are reflective of the most current healthcare practices. This focus allows USAHS to maintain a culture dedicated to the best practices in healthcare education, supporting wellness across the lifespan of patients, advocating for professionalism in all fields, and advancing innovative practices. Another significant differentiator for University of St. Augustine for Health Sciences is the use of innovative technologies to enhance the student experience. There is no better way to learn than through hands-on practice. 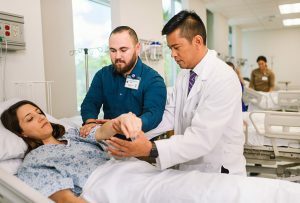 In 2016, USAHS launched the Centers for Innovative Clinical Practice (CICP), multidisciplinary simulation centers that mimic real-life home, acute care, and clinical settings. From their first term, USAHS students learn and practice new skills and techniques in these realistic, interprofessional environments. Guided by expert faculty, they practice assessment, diagnostics, and treatment by role-playing as both practitioner and patient. It is a way to learn at a higher level and gain the confidence needed to approach a variety of patient-care situations in real clinical settings. 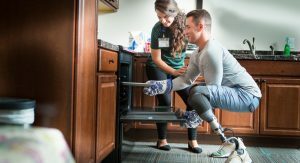 USAHS is among the first institutions to have a simulation training center and state-of-the-art equipment embedded in the curricula for rehabilitative science. In 1994, the Institute commenced a first professional degree in physical therapy – the Master of Physical Therapy (MPT) – for those individuals who had achieved a baccalaureate degree with the necessary prerequisite natural and social science courses. This MPT degree was the first to be offered by an independent and proprietary school of physical therapy. This program was accredited by CAPTE in October 1996 and re-accredited in 2001 and 2011. In 1996, the Institute offered a Master of Occupational Therapy (MOT) degree. The MOT degree program commenced September 1997. The program provides a series of entry-level courses for the first professional degree of occupational therapy. The MOT program was accredited with no deficiencies by the Accreditation Council for Occupational Therapy Education (ACOTE) in April 1999 and was re-accredited in April 2009. On March 4, 1997, the organization formally became the University of St. Augustine for Health Sciences. In July 1999, the University was given authorization by the State Board of Independent Colleges and Universities (SBICU) to award the transitional Doctor of Physical Therapy (DPT) degree, to restructure the current MScPT degree to a Master of Health Sciences (MHSc) degree, and to implement a Doctor of Health Sciences (DHSc) degree. These changes were effective January 1, 2000. Also in 1999, we began the dual degree option whereby a student may earn a Master of Occupational Therapy (MOT) in six trimesters and then add an additional four trimesters to achieve a Doctor of Physical Therapy (DPT). In 2001, the University was given authorization by the Commission for Independent Education to award the first professional Doctor of Physical Therapy (DPT) and Doctor of Occupational Therapy (OTD), and the Transitional Doctor of Occupational Therapy (tOTD). In 2003, the University began to offer the manual physical therapy fellowship which was approved by the American Physical Therapy Association (APTA) as a accredited fellowship in orthopedic manual physical therapy in 2003 and re-accredited in 2008. USAHS received accreditation and licensure in 2004 to begin a Flexible Doctor of Physical Therapy program in Boca Raton, Florida. The Flexible Doctor of Physical Therapy program is accredited by the Commission on Accreditation in Physical Therapy (CAPTE). It is an expansion of the full-time program in St. Augustine and takes twelve trimesters consisting of online education and weekend labs to complete. The Flexible Doctor of Physical Therapy program was moved from Boca Raton, FL to the St. Augustine, FL campus in 2010. In June 2006, the University broke ground on a 98,000 square foot academic and clinic building at the St. Augustine campus. The building was completed in August 2007. Amenities includeseven classrooms, separate wet and dry anatomy labs, fitness center, physical therapy clinic, CPE classroom, and 3rd floor heritage lounge. USAHS received approval from the Bureau for Private, Post-secondary and Vocational Education and Commission for the Accreditation of Physical Therapy Education to begin an expansion DPT program in San Diego, CA in 2007. This campus officially opened August 29, 2007. The San Diego campus began offering the Flexible Doctor of Physical Therapy program in September 2008. On August 4, 2007, Dr. Michael Hillyard, DPA was inaugurated as the 2nd President of USAHS. The university celebrated the opening of the academic and clinic building along with the retirement of Dr. Paris and the inauguration of Dr. Hillyard. In 2009, Dr. Hillyard resigned and Dr. Paris resumed the Presidency of the University. 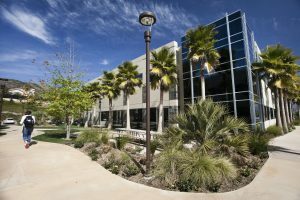 The San Diego campus moved to a 76,000 square foot 3-building corporate center in San Marcos, CA in January 2009. The university received developing program status from ACOTE for the San Marcos MOT program which allowed the Inaugural Class to begin in fall 2009. The dual degree option also began in fall 2009. The University received accreditation and licensure in 2009 to begin to offer the Doctor of Education (EdD) degree. The EdD degree is licensed by the Commission for Independent Education. In 2010, the University received approval from the Commission for Independent Education to restructure the Doctor of Health Science (DHSc) degree. On April 16, 2011, Dr. Wanda Nitsch, PT, PhD was inaugurated as the 4th President of the University. In September 2011, the University was approved by the Texas Workforce Commission to offer the Doctor of Physical Therapy (DPT) degree in Austin, Texas commencing the fall of 2012. The Texas Higher Education Coordinating Board gave approval in October 2011. 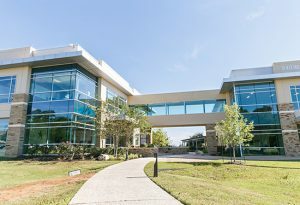 Construction on the Austin campus commenced in February 2012 and opened with its inaugural Doctor of Physical Therapy (DPT) class in August 2012. The Accreditation Council for Occupational Therapy Education (ACOTE) in May 2012 gave approval to the University to begin to offer the Master of Occupational Therapy (MOT) degree in a flexible online and weekend format over ten trimesters commencing in January 2013. In November 2013, the University became part of the Laureate International Universities network. Laureate is one of the world’s largest providers of post-secondary programs in the health sciences. Overall, the Laureate network of more than 70 campus-based and online universities offers undergraduate and graduate degree programs to over 1 million students in 25 countries throughout the Americas, Europe, Africa, Asia and the Middle East. USAHS earned its first regional accreditation from the WASC Senior College & University Commission in 2014 and is up for re-affirmation in 2019. In 2015, the University opened its fourth campus in Miami, FL with the Doctor of Physical Therapy (DPT) program. In 2016, the University launched a first-professional Doctor of Occupational Therapy (OTD) program at its San Marcos, CA and Austin, TX campuses and received approval to offer its first-professional Flex Master of Occupational Therapy program at its Austin, TX campus. The University also extended its post-professional program offerings with the introduction of two new graduate programs including a Master of Science in Nursing (MSN) and Master of Health Administration (MHA). The University also re-launched the Master of Health Science (MHS) program as well as new specializations within the Doctor of Education (EdD) program. USAHS inaugurated Dr. Divina Grossman as the fifth university president in May of 2018. In 2018, USAHS launched the Master of Science in Speech-Language Pathology (MS-SLP) program in Austin, Texas with approval from the Council on Academic Accreditation (CAA). The Miami campus moved to Coral Gables, FL in August, 2018, located at the historic Douglas Entrance complex. February 1, 2019 USAHS returned to becoming a free-standing, private university when ownership was transferred to Atlas Partners.